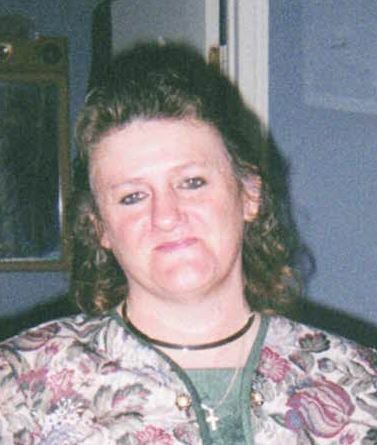 Tina Richardson Biszmaier, 57, passed away peacefully on January 27, 2019 at her home in Munfordville, Kentucky after a short battle with cancer. She was born on September 25, 1961 to the late Robert and Ruby Richardson (Pipkins) in Louisville, Kentucky. Tina worked the majority of her life as a house keeper. She was preceded in death by her brother, Robert P. Richardson and by her sister, Helen Flaherty. Survivors include her children, Crystal Richardson, Melissa Richardson, Michael Richardson, grandchildren, Brandon Richardson, Chelese Richardson, Dakota Richardson, Kolby Richardson, Alex Richardson, Franklin Howe, Jr. and Jacob Howe. Tina slso leaves behind two brothers, Jerry Richardson and Dickie (Sharon) Richardson. Funeral Services will be held at 1:00 P.M. on Monday, February 4, 2019 at the Garr Funeral Home in Sellersburg with interment to follow at Forrest Grove Cemetery located in Memphis, Indiana. Visitation will be held on Monday from 10:00 A.M. until the time of the service at the funeral home.